Mutual funds attract investors for many reasons. For starters, mutual funds are diversified and professionally managed investment vehicles. Their structure eliminates the need to pick securities individually and rebalance your own portfolio. But that doesn’t mean you can pass on doing your homework. There are thousands of mutual funds out there, and each aims for a different objective. 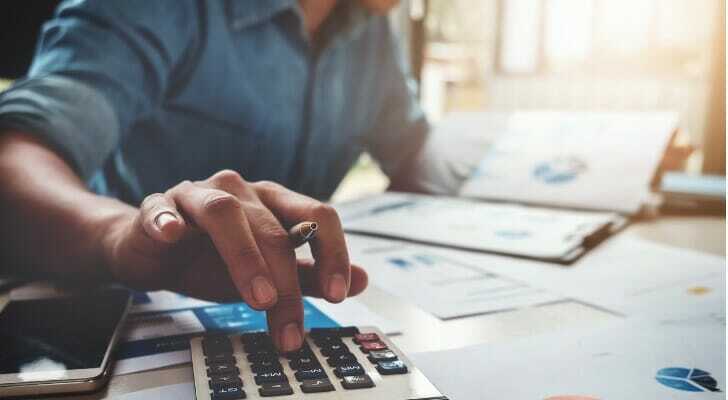 In this article, we’ll explain mutual funds, while covering the pros and cons to help you decide if they’re right for you. We can also help you work with a financial advisor to guide you through the world of mutual fund investing. A mutual fund is a professionally managed investment portfolio composed of one or more asset classes. Think of them as baskets of stocks, bonds, commodities, real estate investments and more. 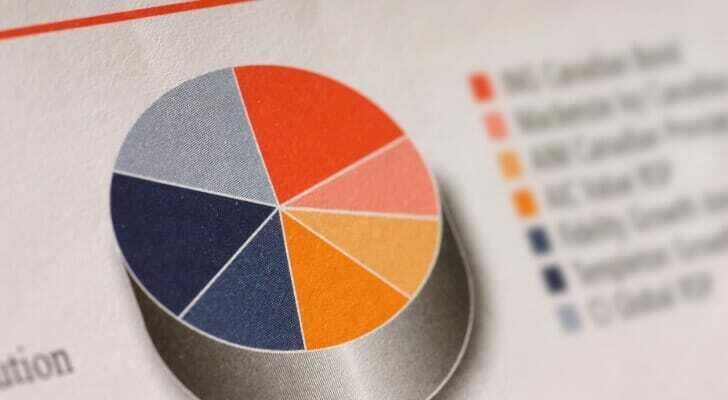 Mutual fund managers generally determine their asset mix based on a particular investment objective. For instance, a mutual fund that aims for long-term growth may invest entirely in stocks and high-yield bonds. But purchasing shares of a mutual fund is different from buying shares of individual stocks and bonds. When you buy shares of a mutual fund, your money is pooled with that of others who invest in the same fund. Therefore, your return is based on the fund’s performance and the proportion of its shares you hold. Mutual funds trade once a day. Their share prices are based on its net asset value (NAV) and computed when markets close each day. The NAV equals total value of portfolio assets (minus any liabilities) divided by the number of outstanding shares. However, you can’t always purchase just one mutual fund share. Most mutual fund companies require minimum investments that typically stretch from $1,000 to $5,000. But the market contains several different kinds of mutual funds. It’s important to note that the market currently houses more than 7,000 mutual funds each with its own asset allocation, objective and investment strategy. So where do you start? We’ll explain some common types of mutual funds and how they work. Stock funds invest in shares of different companies. Some stock funds focus on investing in companies of a particular market capitalization. This is the total dollar value of a company’s outstanding shares. Large-cap, for example, defines companies with more than $10 billion in market capitalization. Generally, these are well-established firms. Investing in small-cap companies, on the other hand, may involve more risk. You can also invest in bond funds. These focus on fixed-income securities and pay interest to their shareholders on a regular basis. These funds may hold different types of debt instruments such as government, municipal or corporate bonds. The bond fund typically distributes interest payments monthly based on the underlying bonds in the mutual fund. So the income can change across different payment periods. Some mutual funds invest in a mix of stocks, bonds or other securities. These are known as balanced funds. Managers typically keep a fixed asset allocation based on the investment strategy of the fund. This can range from conservative to aggressive depending on the fund’s objective. What’s the Right Mutual Fund for Me? Before deciding to invest in any fund, you should determine your risk tolerance and financial goals. For example, you may have a higher risk tolerance if you’re saving for long-term goals such as retirement and you have time to stomach downturns with a diversified portfolio. So if you have a high risk tolerance, you may be interested in aggressive stock funds. These generally focus on growth-oriented stocks overseeing a buy-and-hold strategy. Even high-yield bond funds can carry this kind of risk while aiming for a greater overall return. But what if you have a low risk tolerance? For instance, you may be in or approaching retirement when preserving capital, and income can be crucial. In these cases, it may be wiser to invest in bond funds that hold high-rated corporate and government bonds. Or you may be interested in a balanced fund with an appropriate allocation to dividend-paying stocks and interest-bearing bonds. These tend to pay dividends on a quarterly or annual basis. But you also consider how investing in any of these may affect your personal tax situation as well as your unique financial goals. This is why seeking help from a financial advisor can be highly beneficial. Once you have a grasp of what type of mutual fund you may want to invest in, the next step is to focus on fees. How Do Mutual Fund Fees Work? Large fees can take a major hit on mutual fund returns. In fact, one of the downsides of investing in mutual funds is that they can have complex fee structures. But don’t worry. We’ll break it down step-by step. First, each mutual fund charges an annual expense ratio to cover overall operating and management expenses for the fund. Expense ratios usually range from 0.5% to 1.25%. And they’re generally calculated as a percentage of income that the fund generates. Thus, your account would face its proportional share, reducing your overall assets. In addition, some mutual fund expense ratios include 12b-1 fees to cover marketing and promotional costs. Under law, this particular component can’t exceed 1%. The amount that comes out of your account to cover the expense ratio is not explicitly detailed on your statements. But you can get a good glimpse of what you’re paying indirectly for fund expenses if you follow some steps. Multiply the expense ratio by the average balance invested in a 12-month period. In addition, mutual funds may charge load fees when you buy or redeem shares. These fees are separate from the fund’s expense ratio. Load fees basically cover commissions paid to brokers and others involved in mutual fund transactions. These can span from 4% to 8% of your investment. Some mutual funds charge front-end loads, which they deduct from your initial investment when you purchase shares. Other funds charge back-end loads when you sell your shares within a defined time span after you purchase them. Also known as deferred-sales charges, these fees generally decrease the longer you hold onto your shares until the fee disappears. For instance, the back-end load may start at 6% if you redeem your shares within a year after purchase. And it can go away after you hold on to those mutual fund shares for six years. Oftentimes, the extent of fees involved with investing in mutual funds depends on the fund’s management strategy. An actively managed mutual fund essentially tries to beat the market. The fund manager would utilize a wealth of research and analysis theories to build a mutual fund with specific securities expected to make substantial returns. It may undergo several transactions in the process. Of course, all this takes money. So active funds tend to charge large expense ratios and loads due to the complex management activity. Passively managed funds, however, tend to track an index of different securities such as the S&P 500. This consists of the 500 U.S. companies with the biggest market capitalization. In other words, the fund aims to mimic the overall return of the S&P 500 by investing in securities that already exist within the index. So it tries to copy the market rather than beat it. As you can see, this strategy strips away much of the careful picking that’s involved with active management. As a result, passively managed funds generally charge lower fees than their active counterparts. And while beating the market certainly sounds more lucrative than simply mirroring it, several studies indicate actively managed funds rarely accomplish their overall goals. However, actively managed funds may be able to better hedge against risk because of their tendency to buy and sell securities when deemed necessary. As you can see, mutual funds contain a lot of moving parts you have to consider: asset allocation, fees, investment strategy, track records etc. So if you’re ready to invest in mutual funds, it’s important to do your homework. One way is to access information from sources like a fund’s prospectus and reliable websites that analyze mutual funds. Some firms like Morningstar conduct extensive research on mutual funds. They can crucial data like a fund’s asset allocation, investment strategy and manager bios. Such firms will also rate mutual funds according to multiple factors, including performance considers several factors, including performance. In addition, you can find a lot of this information laid out on the fund prospectus. This document delineates key information about a mutual fund such as its fees, expenses, asset allocation and objectives. In fact, a Morningstar study suggests that low fees may be the best predictors of mutual fund performance. Investing in mutual funds has its advantages. For starters, you eliminate the need to pick individual securities for an investment portfolio. Professional fund managers essentially do that for you and create a mutual fund with a specific growth objective. But you still need to do careful research about the mutual funds on the market. You have many to choose from, ranging from stock funds to balanced funds, that invest in several asset classes. Pay attention to fees, asset allocations, objectives and the fund managers themselves. Mutual fund fees can take huge chunks off your returns, which is why you should research investing costs with laser precision. But one good place to start may be with index funds. These passively managed funds generally charge lower fees than actively managed ones. Because of the complexity of mutual funds, it may behoove you to seek the guidance of a financial advisor. We can help you find one. Use our SmartAsset advisor tool to find professionals in your area. The interactive tool links you to advisors and provides you with their profiles. You can compare their qualifications and set up interviews before deciding on one. The post Should I Invest in Mutual Funds? The Pros and Cons appeared first on SmartAsset Blog.